Join Drew (Wargasm), Bing (Shoeshiner), Jeff14, and Thomas (FTWard) as they continue VoK’s epic re-watch of Battlestar Galactica. This podcast covers episodes 4-6 of season 1. (Act of Contrition, You Can’t Go Home Again, & Litmus). Warning: Contains spoilers for the 2003 Battlestar Galactica miniseries and minor spoilers for the full 75 episode run of the 2004-2009 Battlestar Galactica TV series at the close of the show. “Recap” by Bear McCreary, available on iTunes. Join Wargasm, ClaudiusTheFool, Bina007, EastTexasDireWolf, Shoeshiner, DrownedSnow, and Jeff14 as they begin VoK’s epic re-watch of Battlestar Galactica. 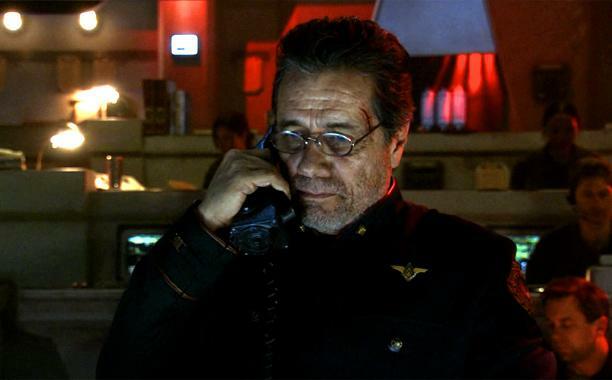 This podcast covers both episodes of the BSG Miniseries. Warning: Contains spoilers for the 2003 Battlestar Galactica miniseries and contains spoilers for the full 75 episode run of the 2004-2009 Battlestar Galactica TV series at the close of the show.